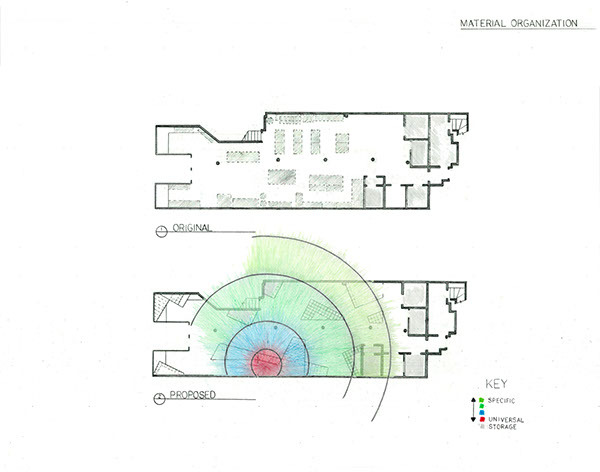 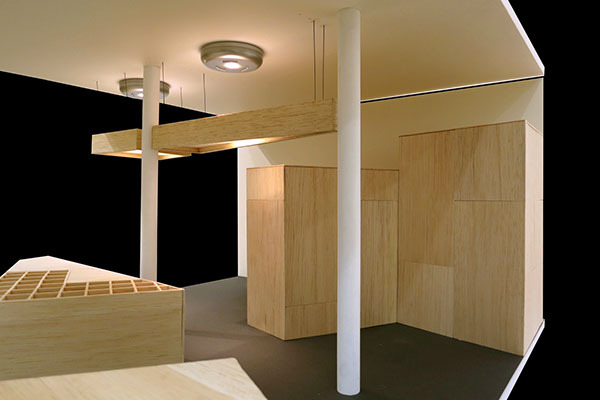 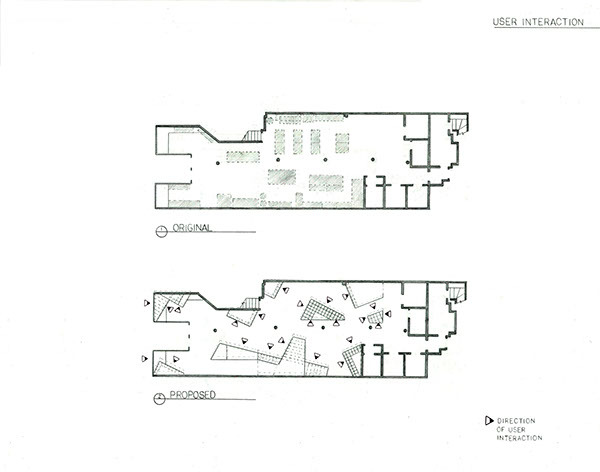 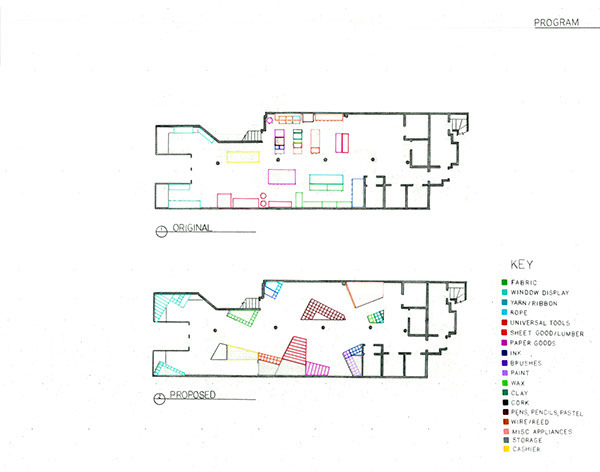 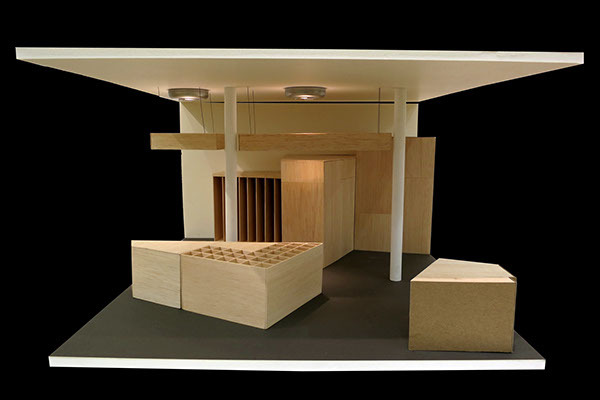 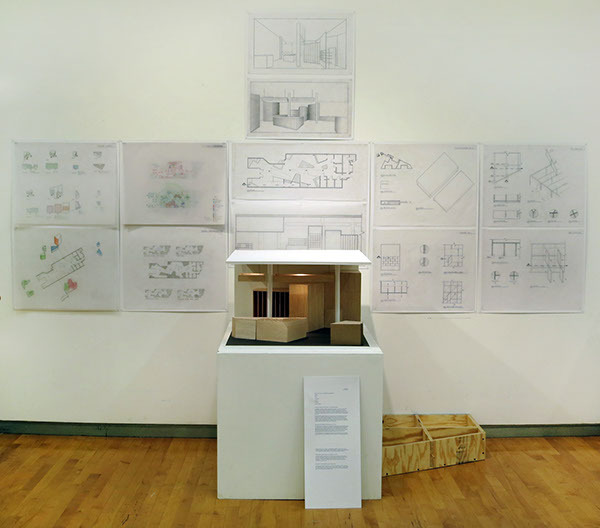 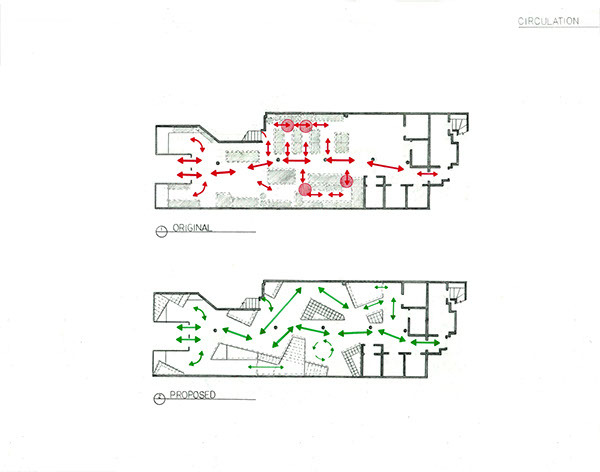 This project entailed the development of the retail space of RISD 2nd Life through the analysis of the design principles and programmatic requirements of the space that have been formally investigated in previous projects. 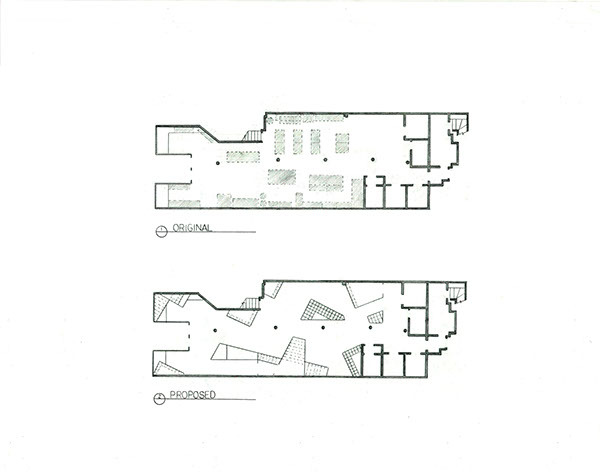 A final design approach was developed, created by forms carved from the initial mass of the space. 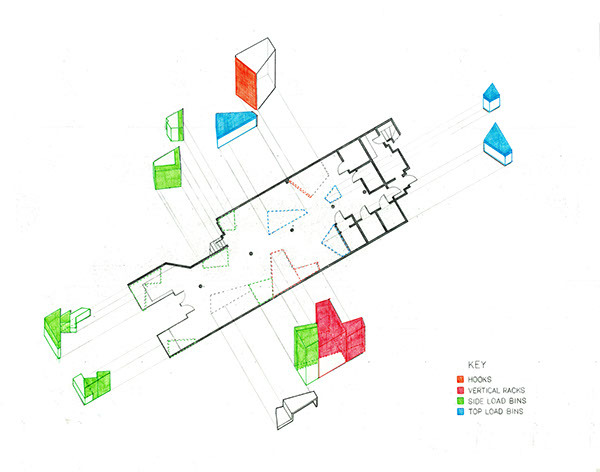 The shape of each form was derived from a series of angles found in the internal DNA of the floor plan. 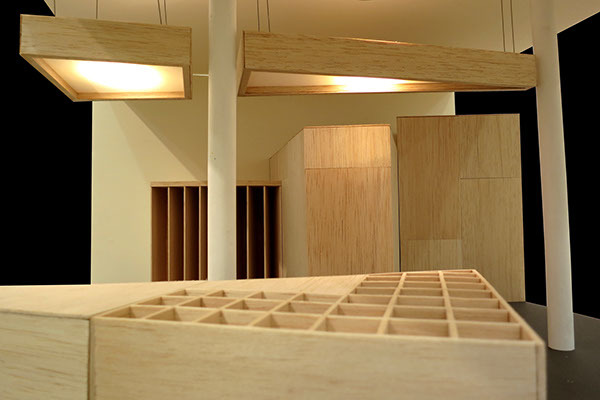 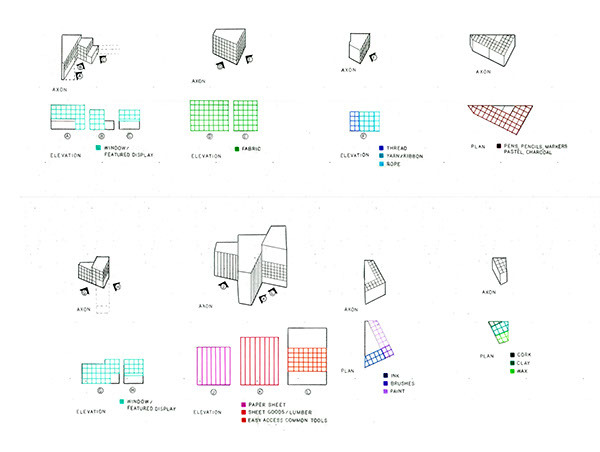 Modular storage bins were integrated into these forms to create a flexible display space that adapts to meet the changing inventory of RISD 2nd Life.